Nowadays, when computer industry is developing way too rapidly, manufacturers are literally “forced” to keep up to date — which can sometimes lead to putting “raw” (unfinished) devices on the market. This tendency makes a definite negative impact on product’s quality. 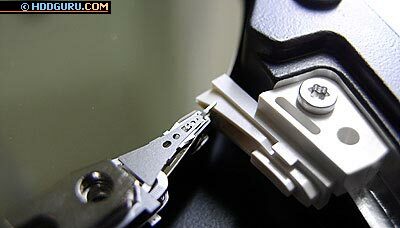 Unfortunately, a hard disk drive industry itself is not an exception. With huge sales volume and poor quality, hard drives are eventually “making friends with troubles” (e.g. 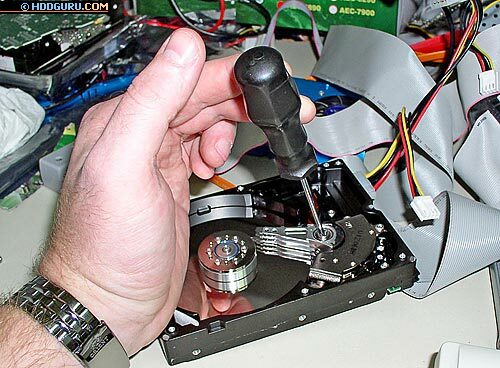 when the system is unable to detect the drive and so on)... There are cases when drive starts clicking or makes raspy or hissing noises — in 70% cases it means a “dead” head or preamplifier. In this case a surgery — head stack replacement or preamplifier re-soldering is needed. It is a small chip, located on a head stack. In old hard drives the preamplifier is usually multi-pinned; new models are made with an open-frame type of preamplifiers that attached either by using conductive adhesive directly on contact areas or by soldering accordingly to BGA principles (Figures 1, 2). Working with preamplifiers always includes some difficulties, because, practically, they can not withstand static discharges. If re-soldering is needed, one should follow a number of rules to protect a preamplifier from static damage caused by careless finger touching. Simple protection includes: ground connections for the drive, for a soldering station, for the repairer; and using a 12-volt soldering station. How to tell that it’s really a head trouble? In fact, it is more likely a philosophical question. Even after looking inside the drive there still can be no definite answer — in this case specialists often count on their own experience and on software. For example, PC-3000 software can accurately detect weak head on IBM, Western Digital, some Seagate drives, by using service area surface checking functions. 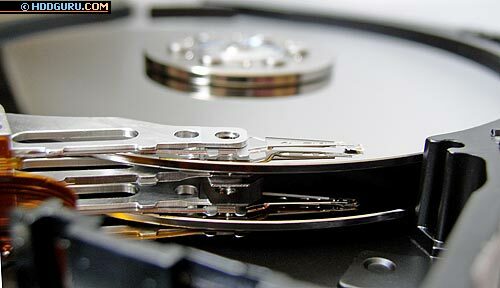 Old hard drives with their obvious reliability (here we mean 20...512 MB drives), are gradually dying; one of the reasons for that is exactly a heads’ problem. 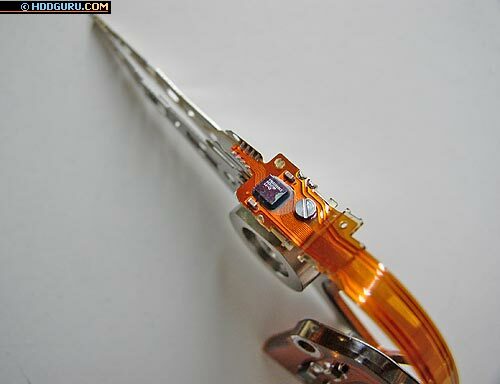 On the Figure 3, a “lifted” head of the 406 MB Quantum Pro Drive LPS is shown. The “lifted” head is a very serious risk, because it scratches the platter that can lead to a severe surface damage. 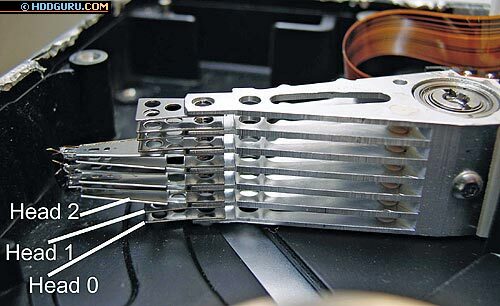 Besides being “lifted”, heads can be also plucked out — it’s been a quite typical trouble for IBM drives. Of course, this trouble doesn’t happen that often, but if it occurs, an exposed area will be destroyed completely. There are also head reading-writing elements failures, which have no indication from outside as well — these can be detected with an ohmmeter by checking resistance for coils and related wires. And thus the drive will test all heads from 0 to F; and right after that it must come out to level F, or stop the spindle. The problem of Quantum drives of all series (including last series — known as Maxtor D540X and D740X) can be detected by the specific sounds: after starting, there will be two loud clicks, then drive’s motor will increase its speed, and there will be 4 more clicks, after which the drive will become “ready”. For Western Digital a dead preamplifier is also detected by the specific sounds: after two loud clicks the drive will stop the spindle. If you have a clicking Maxtor then heads malfunctioning is characterized with a continuous clicking for over 30 seconds. 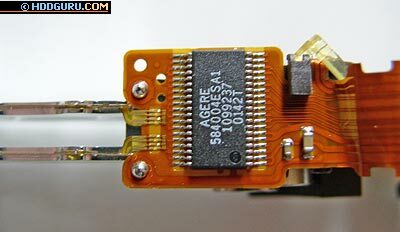 Samsung drives with a dead preamplifier also click two times and then stop the spindle; however, for Samsung drives it can also mean problems with reading of the critical modules of the system area. Replacement of a head stack: where to start from? There are different ways to achieve cleanness. The most optimal way is to get or make a “clean chamber”. It must meet level 10 of cleanness, which means that 1 cubic meter of air must contain no more that 10 elements of dust. It’s also acceptable to use “clean chambers” with a lower level of cleanness — everything depends mostly on one’s financial abilities, however, the successful rate of data recovery procedures will depend exactly on a cleanness factor. 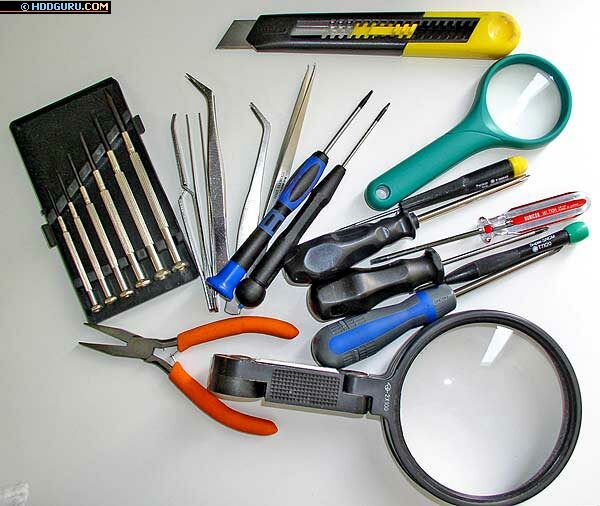 After a clean place is ready we can start with choosing necessary tools (Figure 4). First of all there should be a set of screwdrivers of different types and configurations. 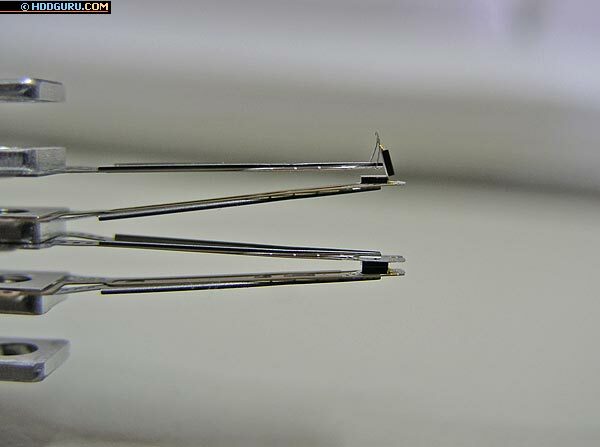 Then, the process will require curved and straight tweezers. Also a magnifier and an office knife will come in handy. Then, get a good lamp preferably with flexible/changeable light direction and a good PC power supply unit. Finally some alcohol, gloves, a face mask and a hair cap should be added: obviously because a person himself is a big source of dirt — hair (dust) and fingers (grease) — therefore it’s important to protect a drive from all these factors. So, when a preparation step is completed successfully: all tools are ready and a decent level of cleanness is achieved — we can proceed to replacing a head stack. The first thing one will need here is — practice. How to get some practice in head stack replacement? The main requirements for successful head stack replacement are experience and, certainly, practice. 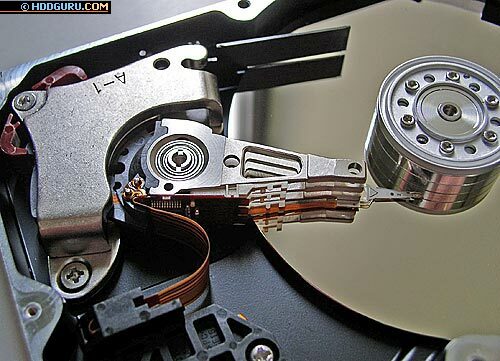 For this purpose author suggests finding some dead drives of the same manufacturer, and do some experiments. If after such practice you are confident about your abilities to make head stack replacement to get the data — then good luck! If you’re still not sure — give more time for practice, and quite soon you’ll get your desirable result! What are the most important things when making head stack replacement? 1. Take into consideration the rules of head stack compatibility (will be given below). 2. Keep the working place and tools clean — tools can be a source of dirt. 3. Don’t hurry, do everything with the maximum accuracy. 4. Under any circumstances do not drink any alcohol or take any substances that can slow down reaction; it can cause hand shaking and distraction — most likely the results of your work will be disappointing. What is a donor? And what are the rules of compatibility? The donor is a hard disk drive a head stack which we will use to replace a dead one in the original drive. The general requirements for choosing donors are: an absolutely identical to the recipient model type of the camera, identical spindle control and VCM chips and read/write channel chips. Besides that, for every manufacturer and for many drive series there are specific requirements about the donor selection — they must be followed in a combination with general requirements (see Table 1). Looking for donors for these drives one should also check an identical firmware revision or identical symbols in the alphanumeric codes on the labels. Drives of the same family can be modified by the manufacturer, therefore given recommendations should be followed strictly. What is a refurbished drive? Can it be used as a donor? 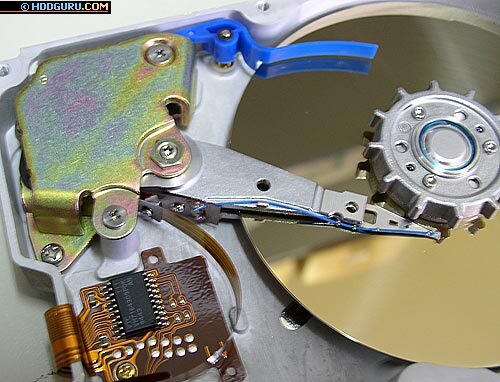 The purpose of refurbished drives is to utilize broken devices by using them for the second cycle while changing some parameters, disconnecting bad heads, changing firmware revision, etc. As examples of mass refurbishing we can mention drives Maxtor N40P series with a body taken from Maxtor Ares C64K, they have NAR61EA0 firmware revision; or Western Digital EB and BB series with the letter “R” in the serial number. Obviously, if a refurbished HDD is going to be built from the drive that has a bad system head (head number 0, the bottom one), this head will not be disconnected, but instead of it another one will become active and, accordingly, the firmware revision will be changed (e.g. for Seagate Barracuda 7200.7 there are several firmware revisions — 3.53, 3.75, 8.75 — where only a couple heads of the whole number are being used. Changing the head stack is never happens in factory repairs; instead, the manufacturer uses already available sources. One more factor is the adaptive parameters, which are calculated for particular head stack type, PCB and camera, and therefore are unique. Lack of coincidence between adaptive parameters in the system area of the recipient drive will not allow getting the quality data from it; moreover, this can cause clicking. Therefore, it can be said with confidence, that refurbished drives are of little use as head stack donors — there is quite high possibility that those heads will not accommodate well on a new place. Practically there aren’t that many types of heads load/unload systems. Roughly, they can be sorted into an “external” type systems (heads are parked outside the platters), and internal type (heads are parked directly on the platters in a special parking zone). 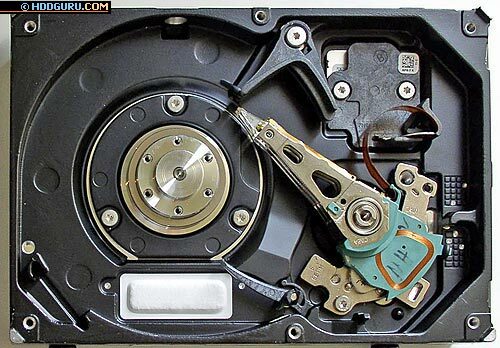 The external load/unload system is being used in all modern 2.5-inch drives since it is much safer. Besides that, it is being used in IBM and Hitachi 3.5-inch drives (Figures 12—14). The external load/unload system can be also found in SCSI hard drives — with up to 12 heads being unloaded! 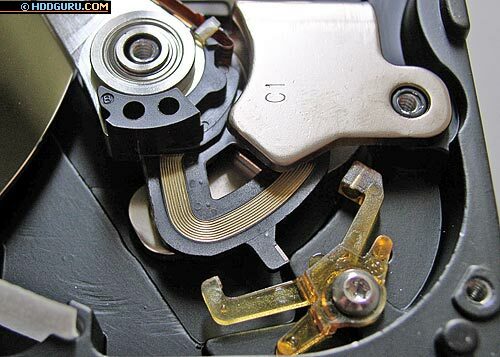 The internal load/unload system can be of a mechanical structure type; this type is widely common for Seagate hard drives of new series, Quantum hard drives (Figures 9, 16, 17) and slim Maxtor drives which have quite complex plastic mechanical structure of their load/unload system (Figure 18). The performance of a load/unload system in full-size Maxtor drives, also in Fujitsu and Western Digital hard drives is based on a magneto-mechanical principle. A head is pulled by a magnet attached to a limiter; the head is pulled to a special projection in the positioner’s structure which itself is quite simple, but has one drawback: a strong electromagnetic pulse is needed to load the heads — and with some types of PCB malfunctions it can become impossible for heads to load; besides that, there are chances of damaging a VCM coil when giving that electromagnetic pulse (e.g. short circuits in a coil have been seen, for example, in Maxtor hard drives of Calypso series). Why heads are numbered starting from zero? There is a simple reason for that — everything which is related to electronic devices is guided by mathematical laws. In mathematics — 0 is still a number like 1 or 100, and in decimal format or hexadecimal (HEX) zero starts the numerical row. Traditionally in HDD manufacturing a HEX format is used because of several reasons — one of them is explaining that to determine big numbers you need less characters (e.g. number 255 will be given in hexadecimal format as FF); besides that, a standard two-byte word makes 16 bit, which has also become a reason for choosing HEX format. Heads are counted starting from a lower (bottom) head — the lowest one has number 0, the next following has number — 1, and so forth (Figure 21). It should be noticed that even when heads are physically missed, they are still given the numbers (Figure 22). On the Figure 21 (a damaged head stack of WDE9180) it is shown that the numeration starts from head 2 and we can see that two lower heads are missed. What particular features should be considered in heads replacement? Now, let’s get down to the main question — how to do heads replacement? First, we need to pick a donor. It may happen that we will need more than one donor — when surfaces are damaged so much that, during the reading process, heads literally “burn out”. As the examples of cases when more than one donor is required we can mention hard drives Quantum Plus AS and Maxtor D540 — D740X. Next step — we clean up the donor and the recipient, better off by applying an alcohol on their bodies and PCBs — the main source of dirt is here. Then we put them into a “clean chamber” and start the process. 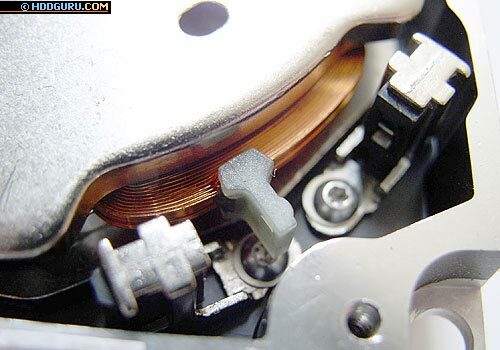 If a drive has screws that fix the spindle and/or head stack on the lid, they must be released first. Only after that we can move to the remaining. Now, we have the drive opened. 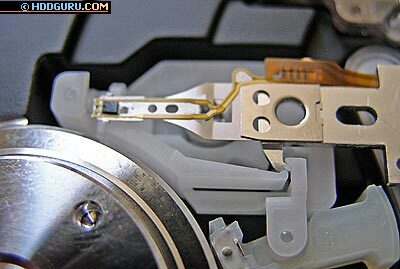 To take out malfunctioning heads we need to partially disassemble some internal parts of the drive. It’s recommended to start with an upper magnet of a position control system. Take off all screws that hold it, then grip the magnet by pliers and take off the magnet. Note that magnets are very strong and in case if it slips out — the hit will be very strong and consequences unpredictable. After taking off the upper magnet we can see a VCM coil and a position control system (Figure 23). Now we have to remove screws that hold the connector (on Figure 23 — in the upper right corner of camera). Only after that we take off the elements of a load/unload system. 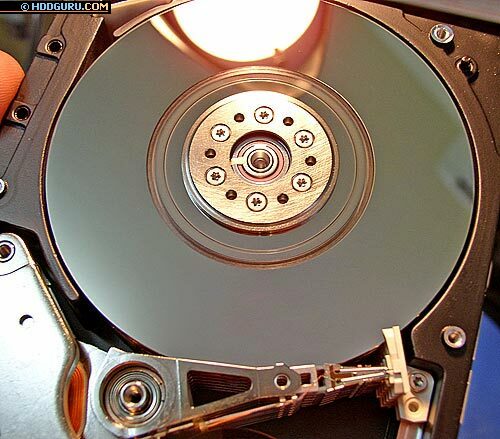 If your hard drive has an internal load/unload system, then you should take the heads out of it first (move them through the platters), while doing this you should spin the platters, and without stopping spinning move the heads outside the platters. Why is it needed to spin platters when moving heads? The answer is simple: heads can stick to the surface if moving without spinning. Before taking heads out of platters, we should take measures for them not to stick together. If there is only one head — no worries, but if there is more than one — then paired heads in the block can stick together. To prevent this we can put one of the paired heads in a special container. The author uses thin drink straws that can be prepared next way: a straw is heated up to the level that is close to its melting temperature, after that the straw is flattened to a desired form (for example, by putting a ruler on it and waiting until the straw gets the right form). Then the straw can be cut into pieces which will be used for packing the heads. We can apply the same method for storing used heads. If a drive has more than two heads then to pack the difficult-of-access heads from a lower levels properly we will need thin curved plastic tweezers. So, the heads are moved out and packed. Now we release the screw that holds the axis of a head stack, and carefully, by moving directly up, we are pulling the head stack off. During this procedure it is very important to remember that a head stack can not withstand static discharge, and therefore, it will be ideal if you are working being grounded and using gloves. A head stack must be pulled off by using tweezers or combination pliers — taking a head stack by hands can cause damage to wires which coming from the preamplifier to the read-write elements. Having done the same procedure to a donor we will get a set of good heads which we can place into our recipient drive. We will start with putting a head stack on the axis by using tweezers or combination pliers, and then tighten the screw. Next step — loading heads on the surface. That is actually the most difficult part. If there is 1 head or 2 heads — it will be done easily by moving the heads apart using tweezers. In case of more than 2 heads we will need either ten hands or a special tool for moving the heads apart — from this point everything will depend on your imagination and how you would like to do this; the author uses paired tweezers and plastic straws for this purpose. After heads have been placed on the surfaces, we are accurately moving heads towards the parking zone while spinning the platters. For drives that have an external load/unload ramp it is needed first to put back the ramp. If during the loading process you hear any strange sound — creak, scratch-like sounds, you need to move heads out again and check the accuracy of all steps. 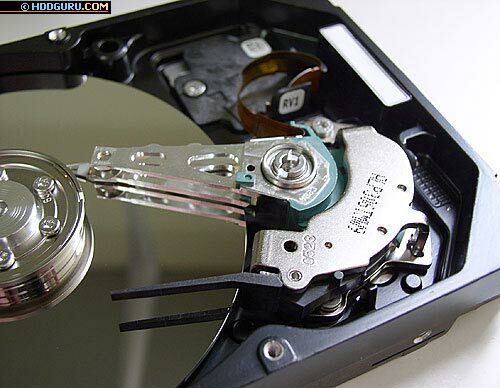 If you decide to leave it as is, the drive will spin up and then, most likely, heads will damage the surface. Have already moved heads on their place without incidents? Well done! Now we put back all internal stuff, and then move to a next difficult step — putting back an upper magnet. To complete this task we fix the drive tightly, grip the magnet by pliers and carefully put the magnet back on its place. 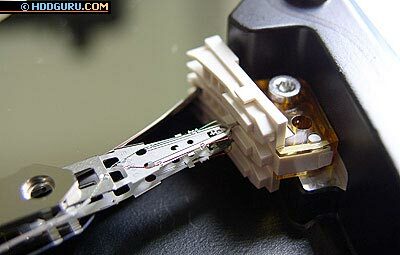 When it is finally placed, we correct its position and fasten the screws back, and after that we can turn on the drive. If everything is done correctly and with decent accuracy — the drive will recalibrate, be detected, and we will see our data. What is to be done about Western Digital EB and BB? Indeed, those drives are a sort of “evil” stuff. Their head stack axis is fixed by the lid, therefore if heads had been taken out it is impossible to reconstruct the original position of the fixing screw, and such drive hardly ever starts well after head stack replacement. However, there is one fortunate point — the BPI density is quite low for those drives, and this allows copying data from an open drive. Of course, while maintaining a good level of cleanness. We have the heads swapped, then, with a screwdriver inserted into the axis, we are trying to find such position of the axis when the drive can recalibrate and give access to the data (Figure 25). Next, for some time (can be easily up to one hour) we will have to sit and hold the screwdriver in that position — but the job is worth it!